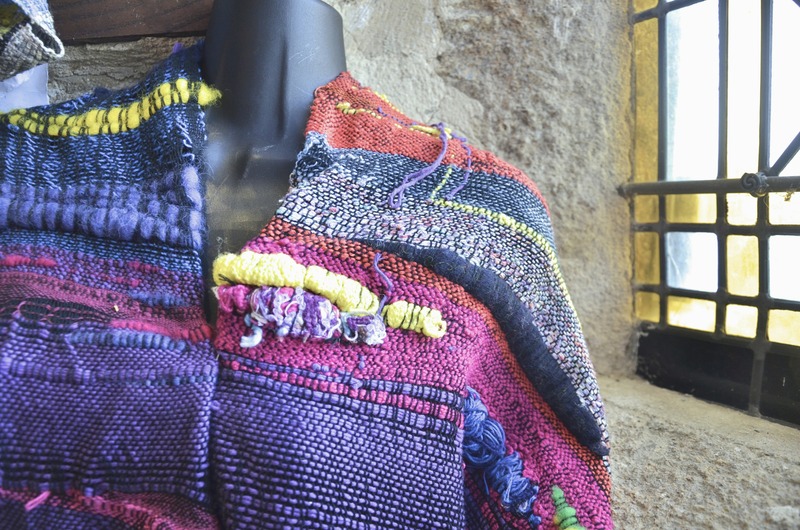 BEAUTIFULcloth is back in France! 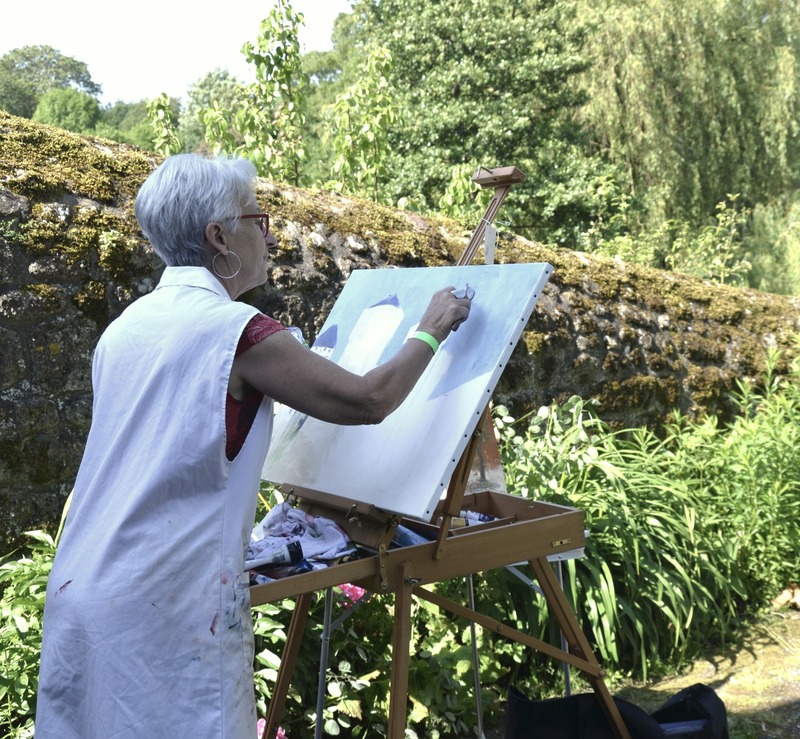 On Sunday, we were in the beautiful Pays-de-la-Loire town of Lassay-les-Chateaux for their “Le Printemps à Lassay” fete; a beautiful event celebrating local artists. To be completely honest, Mum and I didn’t know quite what to expect and, when trying to find where we were exhibiting SAORI, we almost signed up for a “painting in the street” competition! Fortunately, we did eventually find our spot: inside a rustic stone hall with a table next to “Les Couleurs du Japon”! Yasu and Nicole Nogami were displaying their beautiful Japanese calligraphy and sumi-e painting. It was fate – or perhaps just sensible organisation – that placed us all together. What a day we had! 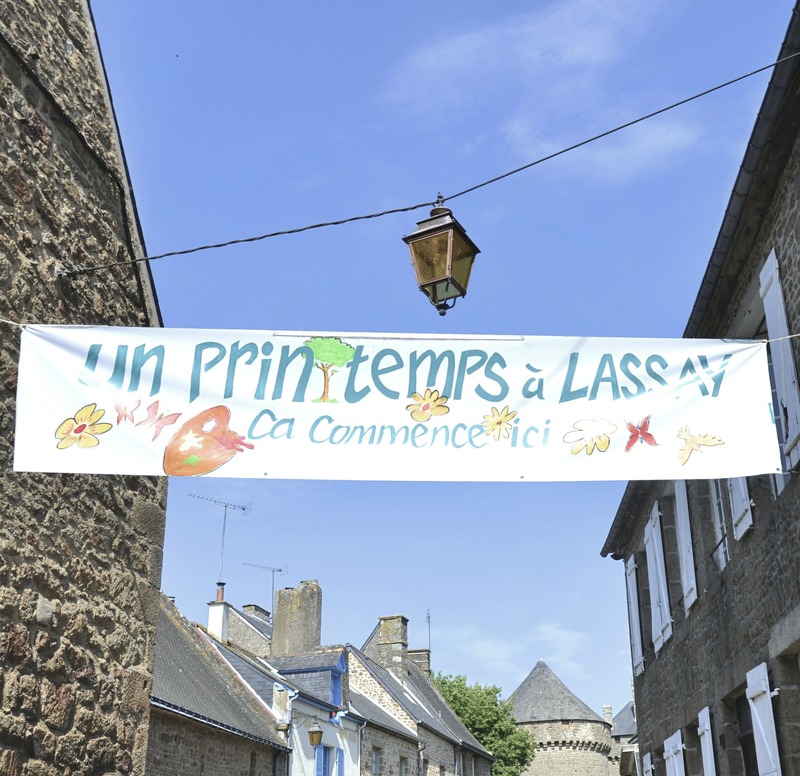 The lovely people of Mayenne and beyond turned up in their hundreds to enjoy the delights of Lassay. Even the sun made a prolonged appearance, much to our joy. 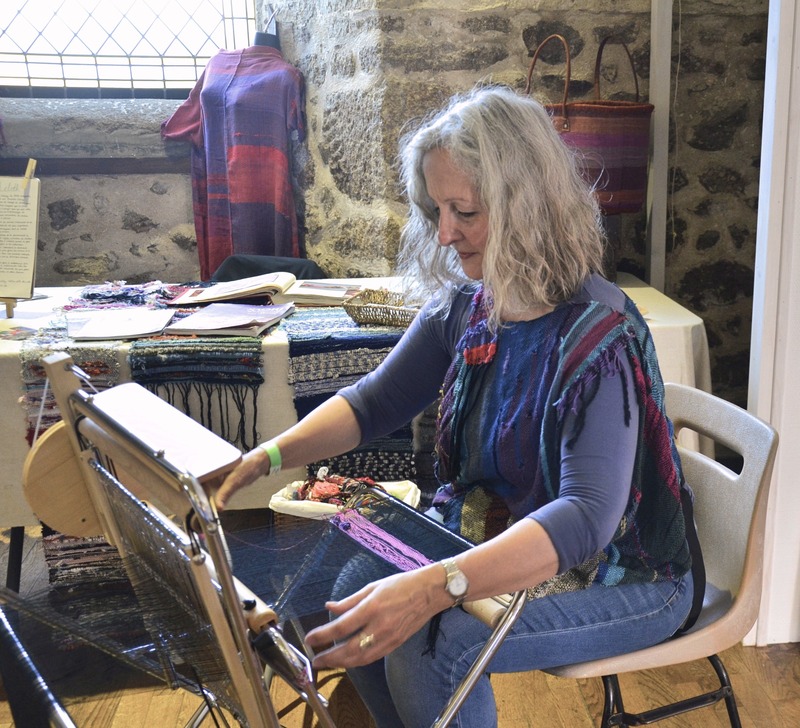 SAORI weaving turned out to be hugely popular with visitors and fellow exhibitors alike, and Mum and I feel we have made quite a few new artist friends. 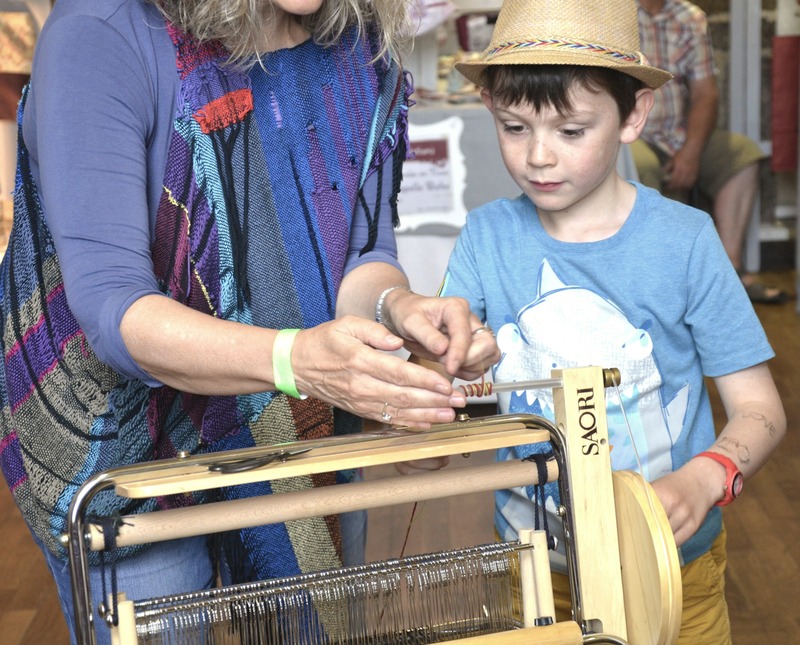 We may have even discovered some budding artists-to-be: one enthusiastic French boy returned again and again to have a go on the loom. He even helped other children once he’d gotten the hang of it! At 1pm, in true French fashion, everybody stopped for lunch. A big table suddenly appeared in the middle of the hall so that we could all eat together, and the organisers were kind enough to provide a delicious meal for all of us. Including a rather potent but delicious “pamplemousse” cocktail! At some point, Yasu and his clarinet-wielding friend decided to give an impromptu music concert, entertaining the people with their jazzy folk tunes. It was a fantastic event and the first of its kind in Lassay. We are seeing more and more of these sorts of art events in the region, and hopefully, the people of Lassay will hold another such festival next year. It certainly was a resounding success. 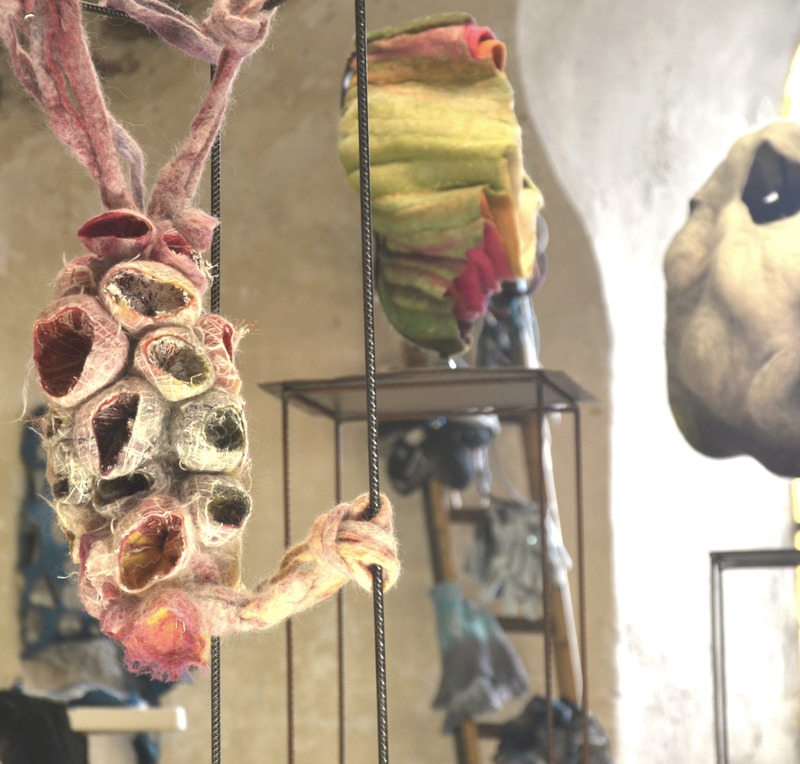 Next weekend, art is coming to St Fraimbault! Also coming soon: come and visit us as we take part in Warwickshire Open Studios and have a go on the loom! You can also see us at the Peace Festival in Leamington Spa. See all upcoming events here.